Sunday, Sep. 23, 2018, 2 – 4 p.m.
Kristen Millares Young guides writers through ways research works with storytelling in nonfiction work. In this generative class, you will learn to infuse narrative with lyric accuracy through careful study of the world. We research to build the authority to astonish readers. Immerse yourself in as many sources as possible, and stay open to surprise. Jot everything down at the moment that it occurs to you. When it is time to write, put your notes aside. Remember to worship the story. Research guides, but it does not control. Research carries a story like water carries a boat. Keep moving. Stay afloat. Guided by Gloria Anzaldúa, Elissa Washuta and Audre Lorde, you’ll produce new writing using timed prompts I’ve designed based on their finest works. Bring your laptop or pen and paper. 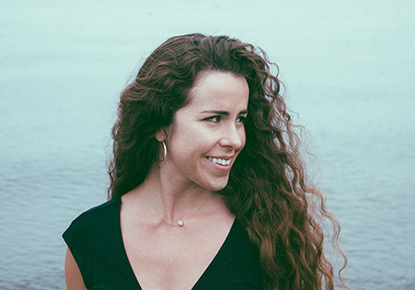 Kristen Millares Young is a journalist, essayist, and the author of the novel “Subduction,” forthcoming from Red Hen Press in spring 2020. She is Writer-in-Residence at Hugo House and teaches at the Port Townsend Writers’ Conference. Her work has been featured by the Guardian, the New York Times, Crosscut, Hobart, Moss, City Arts Magazine, Pacifica Literary Review, KUOW 94.9-FM, the Seattle Post-Intelligencer, the Miami Herald, the Buenos Aires Herald and TIME Magazine. Her personal essays are anthologized in “Pie & Whiskey: Writers Under the Influence of Butter & Booze” and “Latina Outsiders: Remaking Latina Identity” (forthcoming). Kristen has been a fellow at the University of California at Berkeley’s Knight Digital Media Center, the Jack Straw Writing Program, and the University of Washington Graduate School. She was the researcher for the New York Times team that produced “Snow Fall: The Avalanche at Tunnel Creek,” which won a Pulitzer and a Peabody. Kristen serves as board chair of InvestigateWest, a nonprofit news studio she co-founded in the Pacific Northwest.